TOM's Shoes for Father's Day! $5 Off code. Father's Day Sale - $5 OFF Your Entire Order From TOMS Shoes! Use Promotional Code: "FATHERS5"
...I really do love this idea. I am obsessed with my new pair of Tom's shoes for summer (I wear them every chance I get). They are cozy, comfy and even passed my "streets of NYC" shoe test! Dad's will fall in love with these cool, classic styles and the comfy easy-to-wear feel of TOM's. I can't say enough great things about this making-the-world-a-better-place shoe company. ...and yes, TOM's Shoes claims the #1 spot. 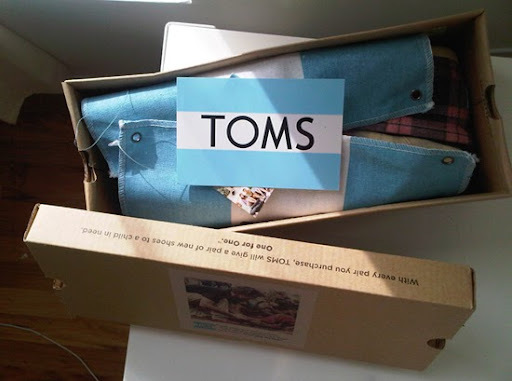 Find great vegan style shoes at TOMS Shoes!